Why is phonological structure hierarchical? By emphasizing developmental changes in how speakers group and control articulatory movements, Selection-coordination theory explains the emergence of hierarchical phonological structure and accounts for cross-linguistic phonological variation. Is it possible to study syntax without the concept of a "syntactic object"? Syntax with oscillators and energy levels is an attempt to develop an alternative framework for conceptualizing syntactic patterns. Instead of analyzing syntactic phenomena with structures of connected objects, the oscillators/energy levels framework constructs analyses using systems, states, state spaces, trajectories, and forces. Articulatory timing can vary substantially, even during the course of an experiment. Fluctuations in arousal can modulate correlations in the outputs of phonatory, postural, and articulatory systems. These patterns of modulation shed light on the underlying organization of speech. Every communicative interaction has the potential to influence how we speak. 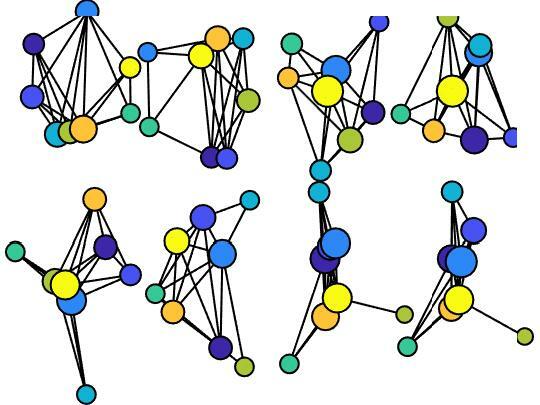 By studying the co-evolution of social network structure and linguistic behavior in the context of constrained-vocabulary games, we can learn about the mechanisms which shape human language. Tilsen, S. Forthcoming. Language Science Press. Tilsen, S. Cornell Working Papers in Phonetics and Phonology 2018. Exertive modulation of speech and articulatory phasing. Tilsen, S. Journal of Phonetics. dx.doi.org/10.1016/j.wocn.2017.03.001. Shared representations underlie metaphonological judgments and speech motor control. Selection and coordination: the articulatory basis for the emergence of phonological structure. Anticipatory Posturing of the Vocal Tract Reveals Dissociation of Speech Movement Plans from Linguistic Units. 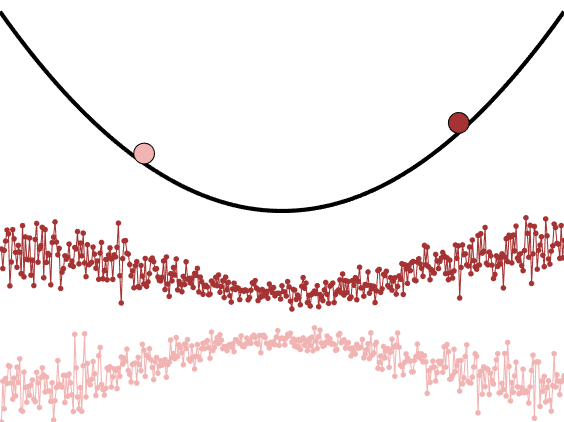 A shared control parameter for F0 and intensity. Tilsen, S. Proc. Speech Prosody 2016, 1066-1070. Early Prosodic Manifestations of Disfluency. Li, J. & Tilsen, S. Proc. Speech Prosody 2016, 1235-1239. Tilsen, S. Cornell Working Papers in Phonetics and Phonology 2016. Real-time articulatory biofeedback with electromagnetic articulography. Structured nonstationarity in articulatory timing. Tilsen, S. Proceedings of the 18th International Congress of Phonetic Sciences. Relation between syllable count judgments and durations of English liquid rimes. Cohn, A. & Tilsen, S. Proceedings of the 18th International Congress of Phonetic Sciences. Phonetic evidence for two types of disfluency. Li, J. & Tilsen, S. Proceedings of the 18th International Congress of Phonetic Sciences. The articulatory tone-bearing unit: Gestural coordination of lexical tone in Thai. Karlin, R. & Tilsen, S. POMA, 22, 060006. A gestural account of mandarin tone sandhi. Yi, H. & Tilsen, S. POMA, 22, 060003. A real-time MRI investigation of anticipatory posturing in prepared responses. Tilsen, S., Spincemaille, P., Xu, B., Doerschuk, P., Karlin, R., Yi, H., Feldman, E., Luh, W., Wang, Y. POMA, 22, 060001. Speech and social network dynamics in a constrained vocabulary game: design and hypotheses. Tilsen, S. Cornell Working Papers in Phonetics and Phonology 2015. Selection and coordination in temporally constrained production. Tilsen, S. Journal of Phonetics, 44: 26-46. Some people are eager to be heard: anticipatory posturing in speech production. Tilsen, S., Spincemaille, P., Xu, B., Doerschuk, P., Karlin, R., Yi, H., Feldman, E., Luh, W., Wang, Y. 168th Meeting of the Acoustical Society of America Lay Language Papers. Syllable count judgments and durations of liquid rimes in English. Tilsen, S., Cohn, A, & Ricciardi, E. Cornell Working Papers in Phonetics and Phonology 2014. Tilsen, S. Cornell Working Papers in Phonetics and Phonology 2014. A dynamical model of hierarchical selection and coordination in speech planning. Speech rhythm analysis with decomposition of the amplitude envelope: Characterizing rhythmic patterns within and across languages. Inhibitory mechanisms in speech planning maintain and maximize contrast. Tilsen, S. In A. Yu (Ed. ), Origins of Sound Patterns: Approaches to Phonologization. 112-127. Oxford: Oxford University Press. Comparison of native and non-native consonant articulation with real-time magnetic resonance imaging of the vocal tract. Tilsen, S., Xu, B., Spincemaille, P., Srivastava, M., Doerschuk, P., Wang, Y. POMA, 19, 060246. Acoustic and articulatory evidence for the phonological status of liaison consonants. L'Esperance, M.-J. & Tilsen, S. POMA, 19, 060245. Imitation of intonational gestures: a preliminary report. Tilsen, S., Burgess, D., & Lantz, E. Cornell Working Papers in Phonetics and Phonology 2013. Articulatory gestures are individually selected in production. Tilsen, S. & Goldstein, L. Journal of Phonetics, 40: 764-779. Utterance preparation and stress clash: planning prosodic alternations. Tilsen, S. In Fuchs, S., Perrier, P., Weirich, M. & Pape, D. (Eds.) Speech production and perception: Planning and dynamics, pp. 119-156. Frankfurt Am Main: Peter Lang Verlag. 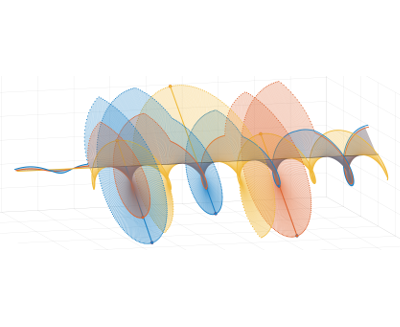 Acoustic analysis of the effects of metrical regularity on interval durations. Tilsen, S., Cibelli, E., Kang, S., Houde, J., Nagarajan, S. Cornell Working Papers in Phonetics and Phonology 2012. A cross-linguistic investigation of articulatory coordination in word-initial consonant clusters. Tilsen, S., Zec, D., Bjorndahl, C., Butler, B., L Esperance, M. J., Fisher, A., Heimisdottir, L., Renwick, M., Sanker, C. Cornell Working Papers in Phonetics and Phonology 2012. Effects of syllable stress on articulatory planning observed in a stop-signal experiment. Tilsen, S. Journal of Phonetics, 39: 642-659. Metrical regularity facilitates speech planning and production. Tilsen, S. Laboratory Phonology, 2: 1, 185-218. Automated measurement of vowel formants in the Buckeye Corpus. Yao, Y., Tilsen, S., Sprouse, R., & Johnson, K. Gengo Kenkyu (Journal of the Linguistic Society of Japan), 138: 99-113. Multi-timescale dynamical interactions between speech rhythm and gesture. Tilsen, S. Cognitive Science, 33, 839-879. Subphonemic and cross-phonemic priming in vowel shadowing: evidence for the involvement of exemplars in production. Tilsen, S. Journal of Phonetics, 37:3, 276-296. 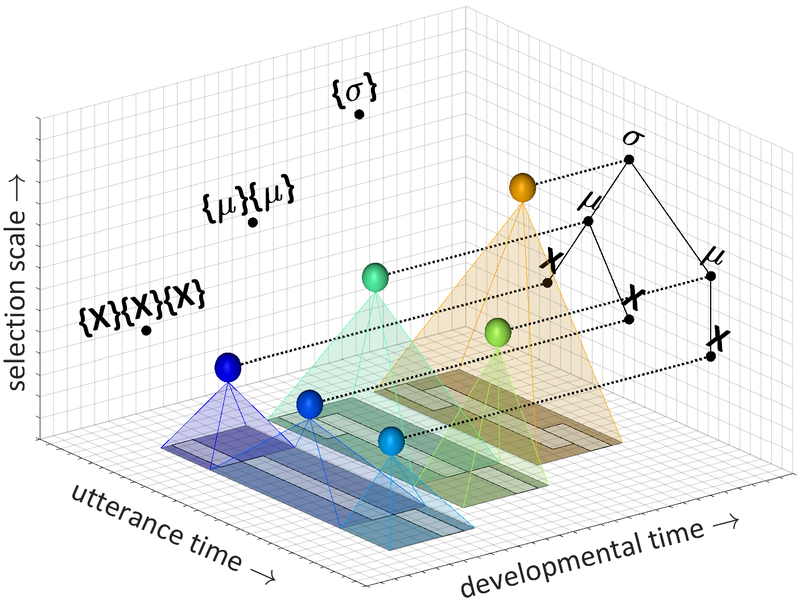 Toward a dynamical interpretation of hierarchical linguistic structure. Tilsen, S. UC Berkeley Phonology Lab Annual Report, 462-512. Low-frequency Fourier analysis of speech rhythm. Tilsen, S. & Johnson, K. Journal of the Acoustical Society of America, 124:2, EL34-39. Relations between speech rhythm and segmental deletion. Tilsen, S. Proceedings from the Annual Meeting of the Chicago Linguistic Society, 44:1, 221-223. Preliminary results of a stop-signal experiment. Tilsen, S. UC Berkeley Phonology Lab Annual Report, 686-712. Vowel-to-vowel coarticulation and dissimilation in response-priming. Tilsen, S. UC Berkeley Phonology Lab Annual Report, 416-458. Low-frequency Fourier analysis of speech rhythm in the VIC corpus. Tilsen, S. UC-Berkeley Phonology Lab Annual Report, 686-712. Multiple attractors in grammaticalization: evidence from Kuki Thaadow verbal morphology. Tilsen, S. M.A. qualifying paper. Rhythmic coordination in repetition disfluency: a harmonic timing effect. Tilsen, S. UC Berkeley Phonology Lab Annual Report, 73-114.